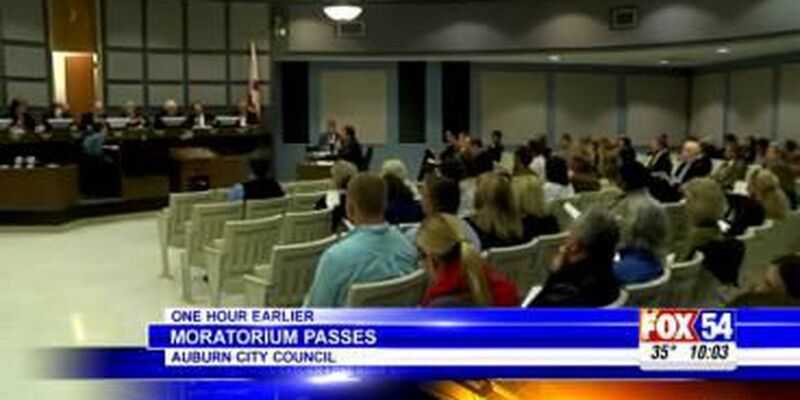 AUBURN, AL (WTVM) - Auburn City Council voted unanimously Tuesday night to set a moratorium on multi-family housing. At the council's last meeting addressing a moratorium, one vote prevented the resolution from passing, which required a unanimous vote. The council passed it Tuesday night in the absence of two members. Some residents have expressed frustration, saying there are too many empty apartment complexes in the area.